When Jake, a shy fourth grader, starts a fire in the woods behind his school that gets away from him, he's punished and forgiven. But his life is never the same. Three years after the incident, the dreams begin. Dreams of flames and a strange creature Jake calls The Melting Man, beckoning him into an otherworld filled with his darkest fears. THE NEW FLESH is the story of one family's descent into madness. Brutal and breathtaking, Deininger's graphic and violent debut is one you will not soon forget. 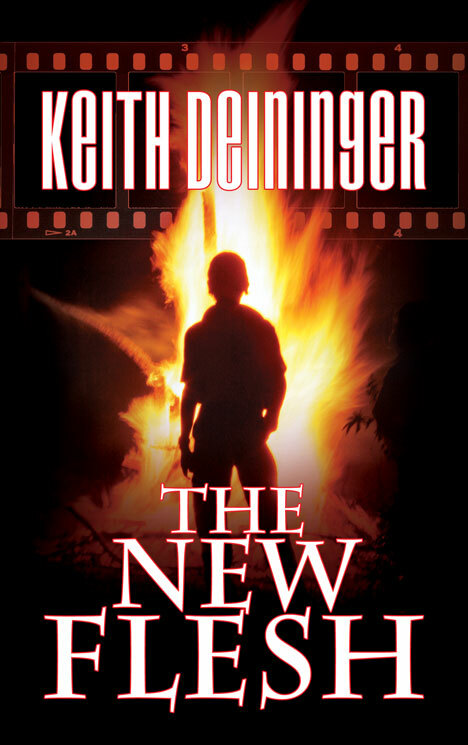 "Keith Deininger's THE NEW FLESH is...ambitious...with prose that effortlessly carries the reader along with the flow of the narrative, offering up turns of phrase that are elegantly apt and freshly minted descriptions that bring the story to life on the page. There's a cinematic feel to the book; its tutelary spirits are Barker and Lynch, Carpenter and Cronenberg." "A dark and sinister debut. Deininger's first novel will have you reading straight through the night." "In my opinion, Keith Deininger is one of the more promising and exciting talents to come on the scene in a very long time." "[Deininger's] writing style...resembles Margaret Atwood and Joyce Carol Oats. It brings to mind The Road and Slaughterhouse-Five." "An exciting, well written thriller that will have readers up late into the night." "Some parts were brutal and some parts scary but the whole was a mind blowing horror that came together in a very interesting climax..."
"I liked this book... I got a real Stephen King vibe from it in a way - which is a good thing. I'm a big Stephen King fan. Jake is a a compelling, young narrator..."
"I enjoyed The New Flesh. My eyes were glued to my Kindle the entire length of the novel. I suggest this read to anyone in need for a quick, dark read that you can finish in an hour or three."